(Seychelles News Agency) - The chairperson of the Chagossian Committee in Seychelles, Gilberte Gendron, has said that the recent United Nations arbitration ruling on the Chagos Islands’ sovereignty dispute between the United Kingdom and Mauritius has left Chagossians and their descendants uncertain of their position. Mauritius initiated proceedings in December 2010 against the UK under the United Nations Convention on the Law of the Sea (UNCLOS) to argue the sovereignty of Mauritius over the Chagos archipelago and challenge the legality of the Marine Protected Area (MPA) which was declared around the Chagos Archipelago by the British government in April 2010. 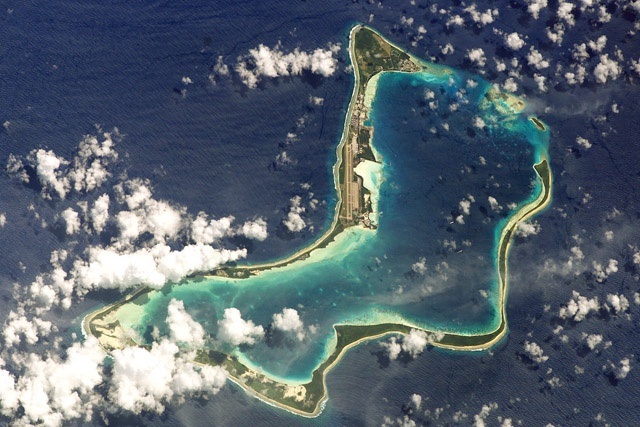 Mauritius and the UK have been involved in a long-standing dispute due to Mauritius’ insistence that the UK government should honour its original undertaking to eventually return the islands to Mauritius after the Chagos archipelago was detached from Mauritius prior to its gaining independence from colonial rule in 1968. 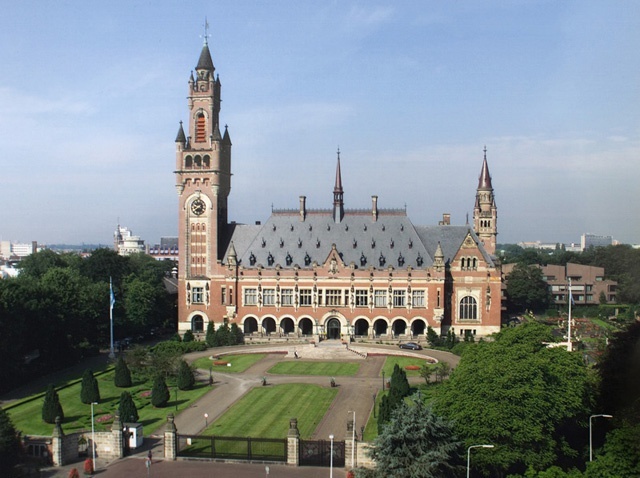 The Permanent Council for Arbitration (PCA), gave its ruling at The Hague last week on March 20. The tribunal’s award, which was final and without appeal, is binding on both parties and ruled that the creation of the MPA violated international law. The tribunal found that the undertakings given by the United Kingdom to the Mauritian Ministers at the Lancaster House talks in September 1965 to return the Chagos Archipelago to Mauritius when no longer needed for defence purposes was legally binding. The tribunal ordered the UK and Mauritius governments to go back to the negotiation table with regards to the terms of the MPA, which imposed a total ban on fishing and other exploitative activities in the British Indian Ocean Territory (BIOT). The ruling also restricts the United States' ability to expand their existing military base on Diego Garcia without the prior agreement of the Mauritian government. For Gendron, who is a descendant of a Chagossian exiled to the neighbouring Indian Ocean archipelago of Seychelles, she is unsure of the motives behind the legal battle and the consequences it could have on her fellow countrymen across the world. “I think that because it was not a Chagossian case but rather Mauritius claiming sovereignty over Chagos, and I think legally they were right to stand their ground, because the Chagos Islands and Mauritius was a single colony before independence,” she told SNA in a telephonic interview on Wednesday. “But in terms of the Chagossians, it is quite unclear for us now, because it all depends on what happens if ever the British will give Chagos back to Mauritius, then what happens to the British citizenship that all the Chagossians were given? We’re not sure in terms of Mauritius, how they feel or what their views are about Chagossians,” added Gendron. She further raised questions about what Mauritius would intend to do with the archipelago if it was ever given back to them, particularly since they were against the creation of the marine reserve. “Mauritius as a country, as we all know, they do not do much in terms of marine reserves… even on land they’ve got very few pristine forests left, they’ve got lots of species that have gone extinct, so I’m not really sure of their position on [the marine protected area in the Chagos Islands], but from the way it’s been presented you get the impression they want to exploit the resources of Chagos,” she said. The Mauritian Prime Minister, Anerood Jugnauth described the PCA’s award as a historic ruling for Mauritius. “This victory is for Mauritius as a whole, including those of our fellow countrymen who are of Chagossian origin”, said Jugnauth last week in reply to a Private Notice Question at the Mauritian National Assembly. Jugnauth proposed the formation of a Mauritian committee, inclusive of the official opposition party, to consider the best way forward. According to a Mauritian government press release, "Mauritius has real, firm and binding rights over the Chagos Archipelago, and that the United Kingdom must respect those rights." Some 2,000 Chagossians, otherwise known as Ilois (people of the islands), were forcibly evicted from the islands by the British government between 1968 and 1972, with many ending up destitute in Mauritius, and around 250 going to the Seychelles. A sizeable number of the exiled population decided to move to the United Kingdom after they were finally given eligibility in 2001 to apply for British citizenship, which was taken up by approximately 1,000 individuals. The Chagossians who were sent to the Seychelles received only a severance pay equating to their remaining contract term. Those sent to Mauritius eventually received a small cash settlement from the British government. In 1979, a court case was launched to negotiate more compensation. In response to this, the British government offered £4 million ($6 million) to the surviving Chagossians, but only on the condition that the case was withdrawn and that all Chagossians sign a "full and final" document renouncing any right of return to the island. However, the Chagossians have never given up on one day returning to the island paradise the oldest among them once called home. "According to the feasibility study that was done and submitted in January by KPMG… there’s nothing that would prevent the British government to allow the Chagossians to return to Chagos," Gendron told SNA. Since 1978, the Chagossians have filed several court cases against the British government for their right to return to the island and for some sort of compensation which included the possibility of living in the UK and visits to Diego Garcia, the first of which was conducted in 2010. The next visit has been rescheduled from the end of April to the beginning of May, according to Gendron, in which just five original Chagossians from each country of the diaspora: the UK, Seychelles and Mauritus, will be given the opportunity to once again see the land of their birth, albeit briefly. Diplomatic cables released by Wikileaks in 2010 revealed that the creation of the MPA was a deliberate attempt to prevent Chagossians from returning to their homeland. According to a statement issued by the UK Chagos Support Association, the PCA's ruling gave the UK government the opportunity to focus on supporting the Chagossians’ right to return to their homeland. "The Marine Protected Area, whatever its intention, does not prevent Chagossians [from returning] home," read the statement. "It does not apply to Diego Garcia at all and only starts three miles from land. An artisan fishing industry could then be sustained without significant alteration to the MPA." It also noted that the KPMG feasability study "emphaised that Chagossians are deeply passionate about protecting the environment of their homeland and wished to be actively involved in conservation efforts upon their return." "The study found there was not a clear indication of likely demand for resettlement, and costs and liabilities to the UK taxpayer were uncertain and potentially significant," read the statement. "Ministers have now agreed that further work should proceed to address these fundamental uncertainties to a point that a decision on the way ahead is possible." In a scathing response, UK Chagos Support Association Secretary Philippa Gregory called the government's failure to act as a "serious betrayal" of the Chagossian community.